Hour for hour, tai chi brings in more benefits and enjoyment than most other exercises. It is an ancient art with great depth, yet requiring no special equipment. People of any age or physical condition can gain better health, enjoyment and progression to higher level. It is even fun and can be practiced alone or in a group. What’s more importantly, tai chi helps you to like yourself more, which, in turn, leads not only to better health, but also harmony within yourself and with others. Tai chi is non competitive, non judgmental – a wonderful activity for all ages – making it an ideal socializing and sharing time. Tai chi is based on nature. Its gentle flowing movements contain an inner power which strengthens the body and mind. Those who practice tai chi become like a tree or river, calm on the outside, but full of internal strength, more capable of withstanding whatever life may throw their way. Today, tai chi is practised in every corner of the world for health improvement for good reasons. Scientific studies show that the practice of tai chi improves, and prevents, almost all chronic conditions including arthritis, heart disease and diabetes. In addition, it improves balance, immunity, and reduces stress. In fact, tai chi improves practically every aspect of health. There are many forms of tai chi. Thus, it is very important to find a form that you not only enjoy, but also allows you to safely attain its many health benefits. 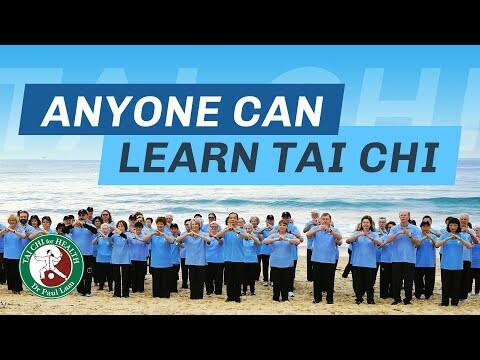 The Tai Chi for Health programs, designed by Dr. Lam, should help you to do both, as they are easy-to-learn, safe, and, as shown by scientific studies to be effective. Plus, as millions around the world attested, they are enjoyable. There are many Tai Chi for Health Institute Board certified instructors of the programs around the world.